This is the island´s capital. Santa Cruz de Tenerife is a cosmopolitan, happy and bright city. It looks out onto the sea, is full of interesting sites and has a marked island character. The city is ideal for taking a stroll and relaxing along its avenues and pedestrian streets. Santa Cruz is above all a vibrant city, offering great cultural and leisure activities and a pedestrian shopping area. Its retail outlets offer all sorts of products and manufactured goods from all over the world, at very reasonable prices. It has a port of great importance, a crossroad between Europe, Africa and America, visited by ships and cruise vessels of every nationality. The capital is also an exceptional example of how tradition and modernity can merge to create a clearly rich architectural mix, given that you may find very close to one another streets of a typical Canarian style, next to modern buildings. The cultural and leisure potential of Santa Cruz is extremely varied. Museums, art exhibitions and different types of shows take place throughout the year. Some of its gardens, squares and avenues are home to permanent sculpture exhibitions considered to be among the best in the world. And for the greatest music lovers, there are the concerts of the Tenerife Symphony Orchestra considered to be among the most prestigious in Europe. 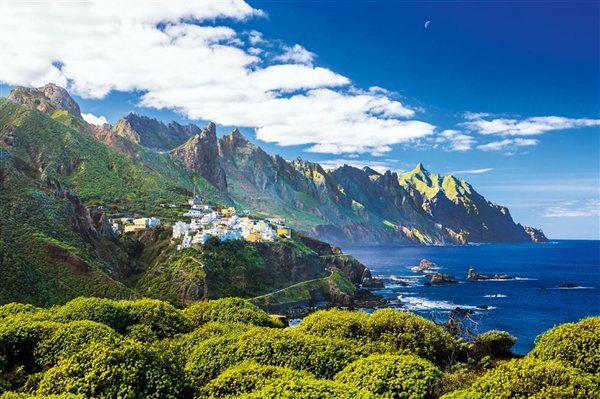 Santa Cruz is the nerve centre of Tenerife´s internal communications and transport system and its connections with other islands makes it an ideal starting point for excursions to see the diversity of the rest of the island.